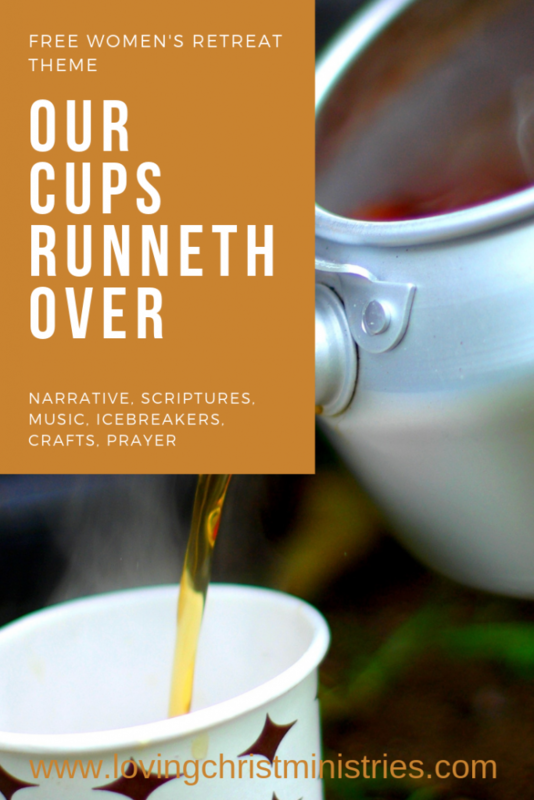 In the Our Cups Runneth Over retreat theme, you’ll find thoughts, ideas, recommended scriptures, activities, songs, and more. Feel free to use the ideas you need and leave the rest…or use them all. 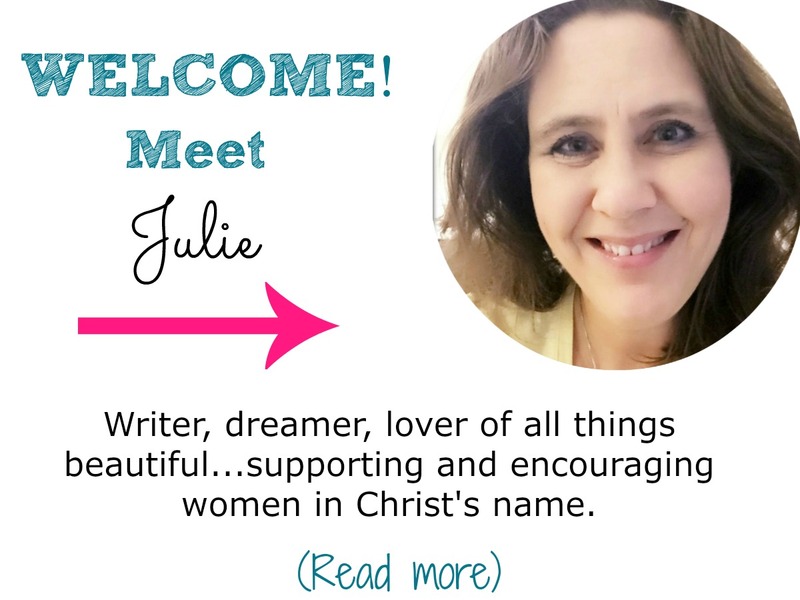 As always, if you have ideas to add, please comment in the comment section below the post or send an email to julie (at) lovingchristministries (dot) com. Oh, fill my cup and let it overflow, let it overflow with love. What a beautiful song to express what God can do if we allow Him to fill our souls. 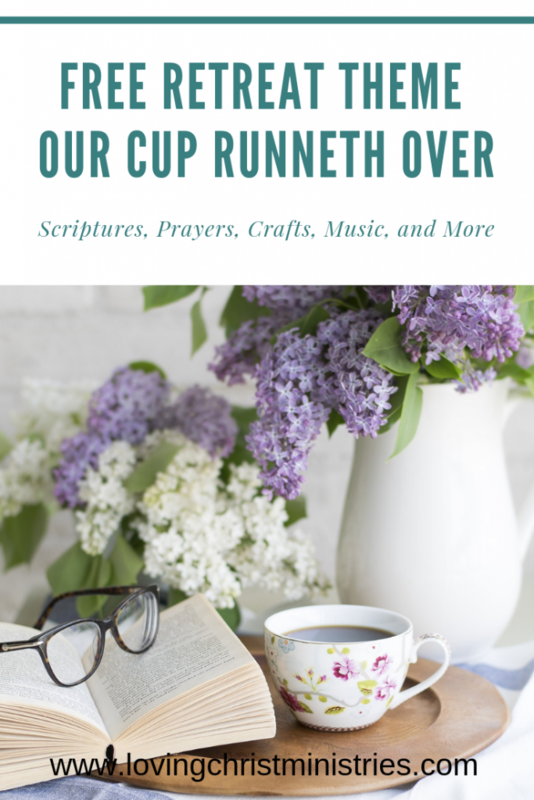 It’s a wonderful feeling to think about how ‘our cups runneth over’ with blessings. We have to be careful, though, to have a Godly definition of what that means. It does not mean having a large quantity of material things flowing into our lives. Blessings can come in all forms. Being able to acknowledge those blessings in challenging times as well as good times will open our hearts even wider so God can continue to fill us with His love. James 1:17 Everything good comes from God. Every perfect gift is from him. These good gifts come down from the Father who made all the lights in the sky. But God never changes like the shadows from those lights. He is always the same. Give each person 10 strips of paper and have them write a fact about themselves on each one. Then place strips in an envelope, one per person. The group leader takes all envelopes, mixes them up, and then reads the facts from an envelope one by one. The other group members try to guess whose envelope is being read. The group leader tosses a ball to someone in the group and asks a question such as “Would you rather be an astronaut or a zoo keeper?” After answering the question and explaining why, that person tosses the ball and asks the next question. Check out these 100 Would You Rather Questions. The Get in Order activity from Our Pastimes is so much fun! Find the directions for this game and many others at their website. A Day in the Life from Women’s Ministry Toolbox website is a perfect activity to learn more about one another by finding out how each day is spent. 1. In what one way does your ‘cup runneth over’? 2. Thinking of a challenging situation in your life, how can you focus on the perspective that it is a blessing in disguise? 3. Share thoughts on ways you can help someone else’s cup run over. For a meaningful craft which provides a great retreat takeaway, try making photo coasters with the directions from The Frugal Girls. You’ll simply need ceramic tiles and a few other easy to find materials. 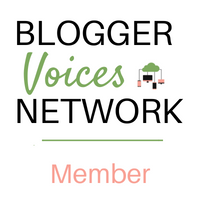 There are several nature crafts to choose from on this Better Homes & Gardens website. Enjoy picking your favorite! Dear Lord, thank you for filling our cups during this retreat. At times, our experiences in life drain us emotionally. Realizing that you are always there wanting to pour your spirit back into our hearts is such a gift. We are so grateful for all of the blessings you have provided for us, both joys and struggles. We pray that you are pleased through this retreat as we have been reminded that all of those experiences make us who we are and that our cups runneth over through it all. Please guide us as we go home, leading us to those who need to know you are ready to fill their cups too. Amen. Want to remember this? 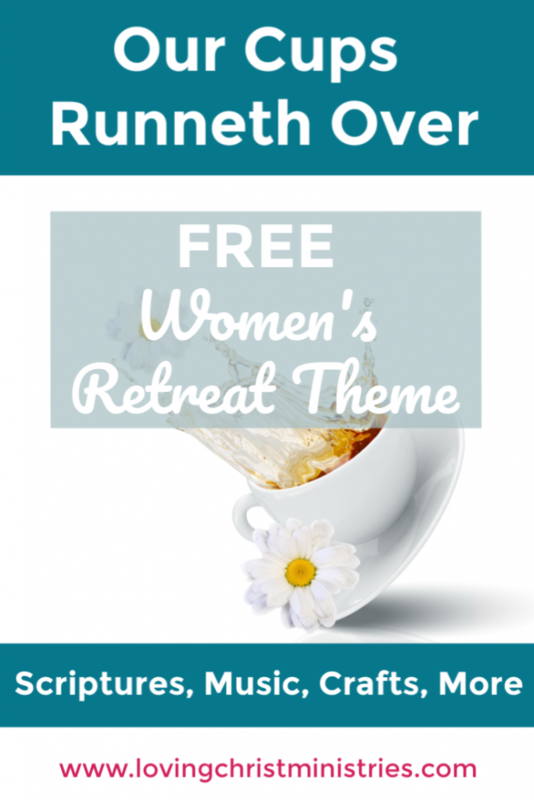 Post this Our Cups Runneth Over Retreat Theme to your favorite Pinterest board! Love this! You always have such great ideas, Julie!